The first step in dealing with a leak is to safeguard as many of your possessions as you can. Immediately move any furniture, rugs, electronics, and so on away from the area of the leak—out of the room in general would be best, if possible, because the space will be needed later to conduct repairs. Grab a bucket to contain incoming water. If the leak is rapid, grab a second to switch in when the first needs emptied. From there, the next concern is to dry out as much of the area as possible. Bring in old towels, a wet/dry vacuum, mops, or any other safe tool you have at your disposal to remove water. Fans can be a tremendous help here as they not only help circulate the air and dry out the area but can also help prevent mold from growing—all while keeping you cool as you work! Once you have completed all of these steps and the imminent danger to your house has been reduced, consider calling a professional roofer to take care of the actual roof damage that caused the leak. If you do, only receive an estimate on the work and do not commit to anything without first contacting your insurance company. If you can get into your attic and access the site of the leak, you can make a temporary patch with roofing tar and a shingle or a piece of plywood. Find the entry point where the water is entering your house. Apply the tar to the underside of the roof, inside the attic. Press the blocking material into the tar, covering the leak. Apply more tar around the edges of the patch. If you cannot get into your attic or have no way of finding the point of entry, you’ll need to cover a wider area on the outside of the roof with plastic. Go on to the roof when it is safe to do so. Take a roll of plastic, preferably 6-mil polyethylene, and wrap it around a two-by-four, stapling the plastic to it. After that, nail another two-by-four to the first, making a sandwich to hold the plastic. Stretch the plastic across the general area of the leak. Place the wood end along the eaves, and use a pair of two-by-fours to secure the other end of the plastic, leaving that end hanging over the ridge. The weight will help hold the plastic flat and keep it from blowing away easily. The above is just a quick fix, however. It will temporarily fix the problem and prevent worse damage inside, but you will still need to call a roofing professional for a permanent fix. Unfortunately, even small amounts of moisture can cause mold. While the overall severity of the damage can be gauged to some extent by how much water entered your building, mold is a silent predator which can begin growing with little to no warning and seemingly little to no cause. After a leak, leftover moisture can create a fertile ground for mold to grow and spread. Once its established, mold will expand as long and as far as the environment can sustain it. While most mold is harmless, if unsightly, we’ve all heard the horror stories about the various forms of toxic mold. Unfortunately, it can be very hard for homeowners to identify the variety of mold, which often necessitates the help of a mold remediation specialist. Of course, regardless of the type of mold, if it’s present in a highly trafficked and visible area, such as on a ceiling, it will likely need removed if for no other reason than the aesthetics of the home. Removing mold can be covered by homeowner’s insurance, even basic policies, if the cause of the mold was caught quickly and was sudden or accidental, such as a leak in the roof or a burst pipe. If the cause of the mold is a too-humid environment, for example, or a repeated leak over a prolonged period, though, insurance will typically deny the claim. Your best bet for removing a slight stain on the ceiling caused by water damage is, oddly enough, more water. You’ll want to mix an equal ratio of water and chlorine bleach together in a bucket, and then use a sponge to wash the stained area fully with the mixture. Afterwards, you may want to add primer and a coat of paint to the area. It’s hard for an article on the internet to correctly diagnose a complex series of damaging events, but you might consider $400 to be a rough ballpark for the cost of repairing a ceiling damaged by water, including a ceiling patch, labor costs, and painting the patched surface. However, keep in mind that this is just the ceiling. Fixing the actual roof can range widely based on whether a simple repair is needed or whether this was one tipping point in a roof that badly needs repair. The general rule of thumb is that when the leak is caused by accidental forces or those over which you have no control (wind or snow storms are big ones), then it’s covered. If it’s caused by negligence, then it’s likely not covered. This is why it’s essential to keep up on home maintenance and fix minor issues as they pop up. While insurance will cover the damage caused by the water, they typically will not cover the source of the damage. For example, if a washing machine breaks down and causes damage, they will repair the damage to the house, but they will not replace the washing machine. 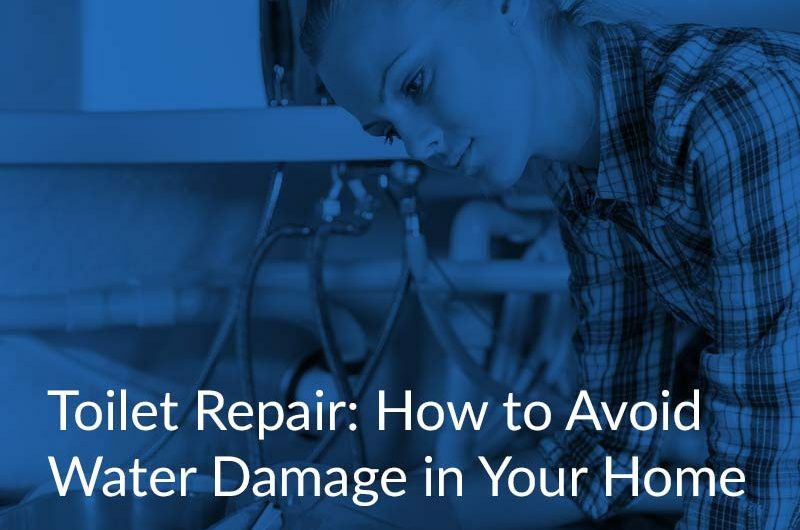 While water damage and a leaking roof may sound absolutely terrifying to most homeowners, with the proper mindset and by following step-by-step damage control and repair procedures, you and your home can come through the challenge without too much trouble.